A call by U.S. prosecutors for phone manufacturers to install a “kill switch” to discourage smartphone theft has taken a step forward, with Apple and Samsung providing handsets whose security features will be put to the test. 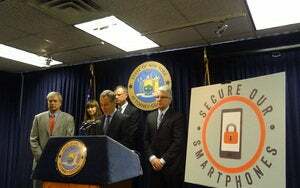 As part of the “Secure Our Smartphones” initiative announced by U.S. prosecutors and other groups in June, phone makers are being asked to find technological solutions to prevent smartphone theft. Law enforcement is dealing with growing crime—including murder—related to smartphone theft, especially iPhones, and one of the ideas put forward was the installation of kill switches to disable smartphones completely. As part of the SOS initiative, Apple will provide an iPhone 5 with the “Activation Lock” enabled, while Samsung will provide a Galaxy S4 smartphone with the LoJack for Android feature. 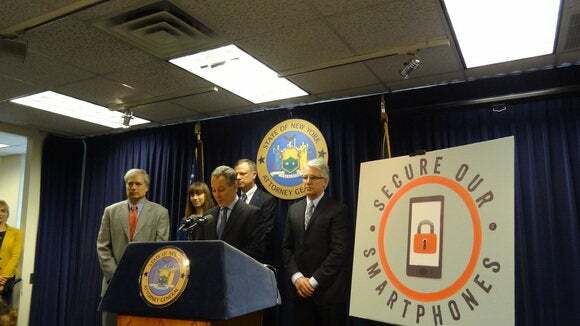 The smartphones will be tested for security features and “attempts will be made to circumvent the anti-theft features,” said San Francisco District Attorney George Gascón and New York Attorney General Eric Schneiderman in a joint statement on Thursday. Prosectors and other groups want smartphone makers to come up with ways to deter phone theft, as part of the ‘Save Our Smartphones’ initiative. The New York Attorney General’s office did not immediately respond to requests for comment on when the results of the tests would be published. The prosecutors expect smartphones with kill switches to be released by early 2014, and discussions about the initiative have been held with Apple, Google, Samsung and Microsoft. The SOS initiative is also backed by state officials, police chiefs, district attorneys, attorneys general and consumer advocacy groups. Apple’s “Activation Lock” feature in iOS 7 requires an iPhone owner to enter a username and password to enable a locked or wiped phone. The feature is intended to make it difficult to resell a lost or stolen iPhone. 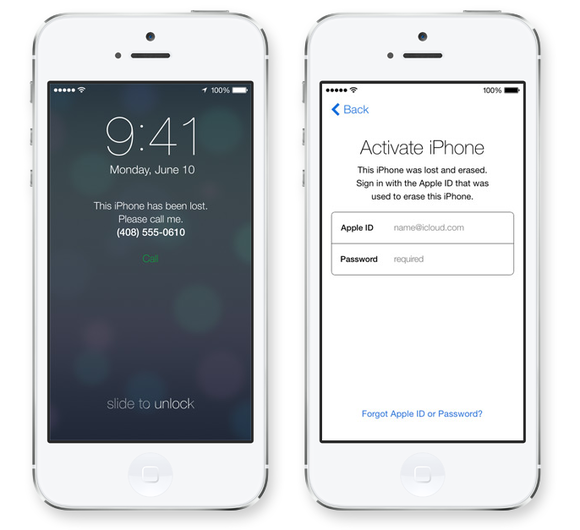 iOS 7 will introduce an Activation Lock feature to the iPhone when it arrives later this year. However, Gascón in the past has said the Activation Lock feature doesn’t go far enough to reduce smartphone theft. The feature isn’t as good as a kill switch, which disables a smartphone completely and makes it useless, he has said. During a press conference last month to announce SOS, Gascón also berated Apple for being uncooperative about bringing more stringent security features to the iPhone. However, Apple’s chairman, Arthur Levinson, on the same day issued a statement saying that while the company shares the concerns about growing smartphone theft, it was being unfairly targeted as not cooperating to resolve the issue. It is estimated that about 1.6 million people were victims of smartphone theft in the U.S. last year. Around 30 percent to 40 percent of all robberies are smartphone theft, according to the U.S. prosecutors.